Technological advancement is no longer linear. 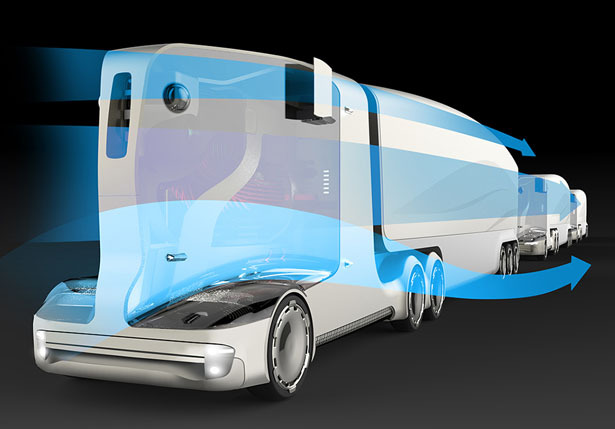 While we in the Transportation Industry often project change in a linear manner, our market may be one of the first to take a quantum leap with autonomous trucks. Many experts say the change will occur in 10 years. While the planners are busy developing the future market, our government is ignoring the impact to labor and apparently willing to allow Europe to take the lead. Otto, a subsidiary of Uber tested an automated lane moving Budweiser in Colorado. Platoons of European Manufacturers have successfully moved freight through Europe. Daimler/Freightliner staged a demonstration of platooning, two or more trucks optimizing aerodynamic spacing, in live traffic on German highways and Daimler’s Inspiration is licensed in Nevada. Volvo/Mack followed suit in a Scandinavian mine, demonstrating the application of level 3-5 technology in a contained geographic space. Volkswagen/Scania has announced it will ferry cargo over public roads in Singapore using full scale autonomous trucks. Ohio has created a testing corridor for driverless trucks. Tesla has also announced it will be in the trucking market by September. The U.S. has clear advantages when it comes to deployment of long haul autonomous lanes, due to having longer and less crowded roads and less regulation. European industry leaders on the other hand have embraced the technology of autonomous trucking and subsequently much of the activity is occurring in Europe. This is why it is timely and necessary for our government to take the lead in encouraging the development of new products and services to protect labor, since right around the corner is 5G communication and level 5 autonomous vehicles communicating with infrastructure or V2X. Encouraging innovation in new services and products is imperative for any business, or government, to be competitive. For example, in a Big Data Future, trucks could be equipped with sensors to signal infrastructure repairs, identify packaging performance while reducing loss and damage, all leading to new job growth. In a level 5 autonomous vehicle market, everything changes—drivers go away and so do all the products associated with the driver in the cab. Trucks become smaller, lighter and more efficient and available 24/7. Capital for fleet ownership could also change with Uber-like technology to shared-asset ownership in the form of security derivatives. If we shift our perspective away from traditional labor gains and focus instead on new products and services required after each level or automation, then we will be able to better adapt to the drastic changes while creating new markets and opportunities for the displaced human.